There are occasions when one is sometimes reminded of other composers and genres in the music, but for the main part Dove's is a very individual voice. He writes in a contemporary fashion whilst still remaining true to the period and style of the narrative, and is never afraid to write a beautiful melody. 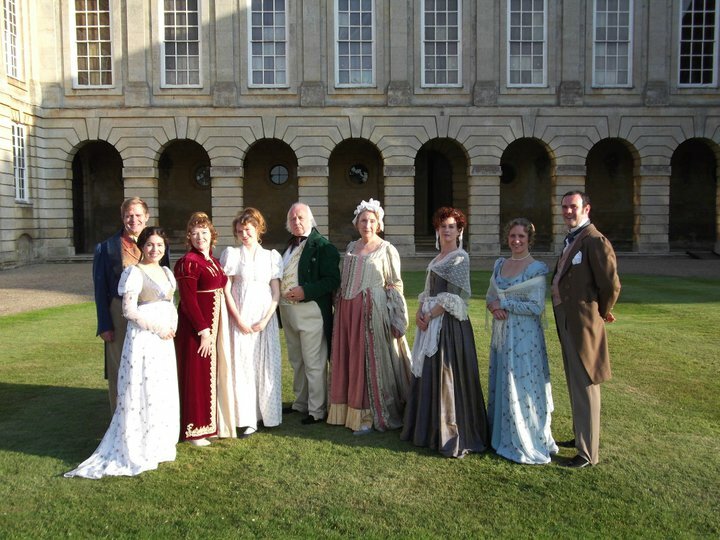 He has a splendid ally in Middleton, whose text wavers surprisingly little from Austen's original dialogue, and manages to convey the complexities and emotions of the characters in a clear and concise way to both newcomers to Austen's work and committed Austenophiles alike. Whilst there are fine solo outpourings for the heroine Fanny Price and some delightful dance episodes (finely executed in Michael McCaffery's simplistic production with spirited choreography by Michele Hardy), Dove's real genius comes to the fore in his beautiful yet powerful ensemble writing, notably the stunning quartet that ends the first act and the concerted finale to the piece where all ten voices are joined together. Not all of the singers are successful in getting every one of Middleton's words across - there is occasionally some rapid spitfire dialogue that is lost even in such an intimate setting as the small barn-like Arcola Theatre - but there are no complaints with the overall singing of the central quartet of Fanny (Serenna Wagner), cousin Edmund Bertram (Thomas Eaglen), and the scheming siblings Mary and Henry Crawford (Sarah Helsby Hughes and Nicholas Sales), and there is sterling support from veteran singers John Rawnsley and Nuala Willis as Sir Thomas and Lady Bertram. 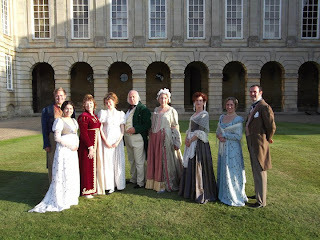 Elroy Ashmore-Short's beautiful period costumes are played against a simple cloth backdrop depicting the first page of Austen's novel, and a few chairs, writing desk and white cloth-bound books providing the only props. The valiant and unrelenting pianoforte accompaniment of Jonathan Ellis and Paul Greenhalgh is under the secure musical direction of Heritage Opera's founder, Chris Gill. I am sure this is not the last we will hear of Jonathan Dove's Mansfield Park, and I am convinced that it will follow the success that has befallen previous works, notably Flight, Tobias and the Angel, and The Adventures of Pinocchio. In fact, I would venture to suggest that this is Dove's best work to date. I, for one, cannot wait to hear it again.